Well there is, of course, in your pocket. Smart travelers load up their smartphones with an array of handy apps to make life on the road that little bit easier. And just like packing the right items for your trip, having the right apps on your phone can dramatically improve the journey to your next destination. Evening flights often leave you in a travel no-man's land. 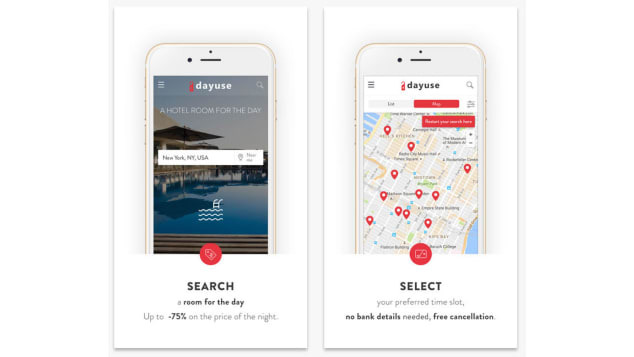 But the Dayuse app allows you to book hotel rooms for the day rather than the evening hours so you can relax, take a shower, or just get some work done. Rooms are generally cheaper than they are at night, and your stay often comes with access to all the same amenities enjoyed by overnight guests. A Dayuse.com advisor will answer all your questions on 0203 318 4677 How does it work Need help?